How does it all work? Well, my design process is all about you. We start by figuring out precisely what you need. Some clients know exactly what they want and just need their vision made into reality. Others need design help from the ground up. Either way, we’ll begin with talking about you and your business. Who’s your target market? What are their values, how do they live their lives, and what do they think is important? Who are your competitors and how do you stand out from them? What sort of image are you trying to project? What sort of image do you currently maintain? There are a lot of questions! When all the talking (or emailing, as the case may be) is done, the work starts. First off: rough mockup designs based on everything we talked about. From there, it’s a back-and-forth process of revisions, combining and refining elements until it all comes together into a design you’re sure to love. From logos to websites, and everything in between: when it comes to design, whatever your needs, I’ve got you covered! Oh, and if you already know a guy, I play well with others. Websites you can edit yourself, keeping you relevant. At least a fifth of all the websites in the world use WordPress, and with good reason: it’s flexible, expandable, and easy-to-use! I build most of my websites using WordPress. This means you’ll be able to update your website as easily as your Facebook status. 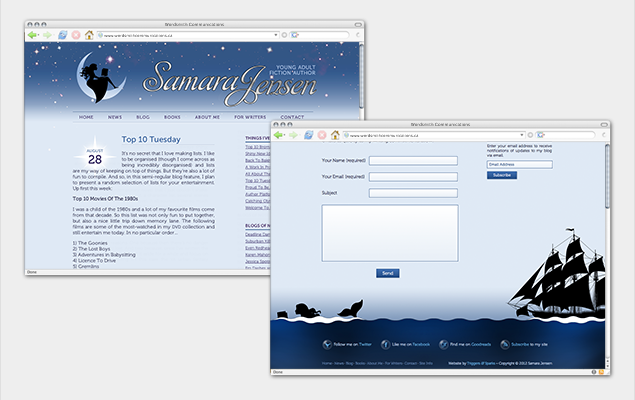 I customize the site to your particular needs and make sure it’s as simple as possible for you to edit and update. Don’t know what this means? Don’t you worry about a thing. I’ve got it covered. I run my own lightning-fast servers and keep everything secure for you. Want to mass-mail three thousand of your closest friends? I’m well-versed in MailChimp templates, and can create a newsletter template that will degrade well across a variety of email clients. First impressions do count. People do judge a book by its cover. The first thing your customers see of you is your logo. What is it telling them? If you’re just launching a business, now is the time to invest in a quality design and a consistent branding scheme. Get an iconic visual that represents your company and what it stands for. Your logo was designed in 1982 and features a swoosh. Perhaps it’s time for an overhaul. 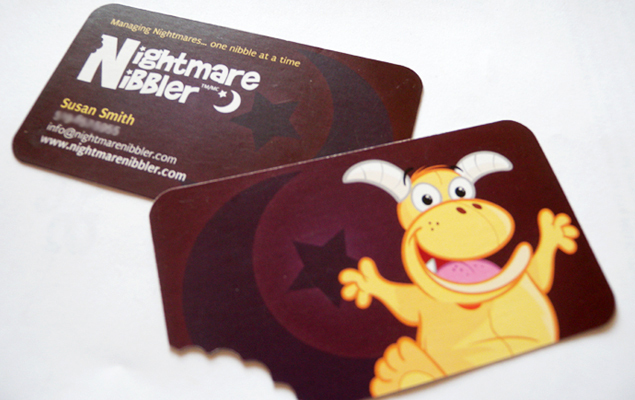 You’ve got a logo; now you need a business card, letterhead, and maybe a whole range of other materials. I can make sure your look is consistent throughout, so everything just fits right. Got a fancy-pants branding document from a big agency? I can work within these guidelines to create new materials that suit your developed brand. If you can print it out, or show it on a screen, I can make it eye-catching and gorgeous. Need something cheeky for the Sunday paper? I’m on it. Brochures, mailouts, stickers, t-shirts, flyers, postcards, newsletters, packaging—don’t just put your logo on it, make it look lovely to boot. 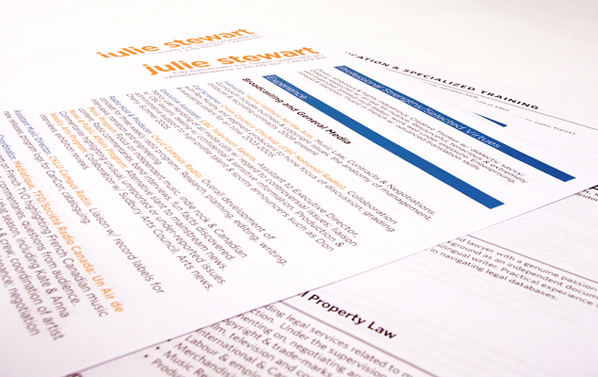 A beautifully designed and well-written resume will get your foot in the door. Your menus, signs, posters, annual reports, and wedding invitations will have so much more panache if they’re professionally designed. Some of my favourite projects have been book covers, CD covers, and the like. Let’s make your work of art a work of art.